Responsible for building over 100 diversified brands. Experience ranges from a lengthy freelance client list to full-timing for Long Island marketing companies. Carlos Venegas is currently the Director Of Marketing for Blink Voice Communications, Inc. and works on a number of major in-house projects. Carlos responsibilities include all design look and feel of Blink Communications brand. 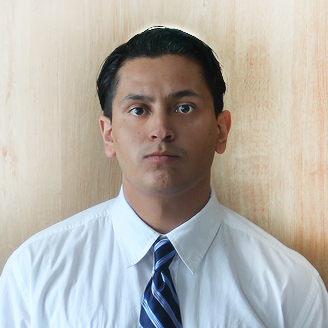 Carlos has a key role in development of sales strategies and client relationship. Since 2000, Carlos has been practicing graphic, logo, interface and website design; website development in Drupal, Joomla and Magento. He is fluent in visual communication, including typography, color, spacial arrangement, digital illustration, and digital marketing, including optimizing websites for search engines (SEO) and social media marketing (SMM). Prior to Blink Communications, Carlos was responsible for design and development of a large digital marketing firm. He also freelanced for small to large companies. In 2015 to 2016, Carlos led Designfox's design and composition. Carlos worked on a number of major in-house projects including custom code for Websites and Online Stores. Carlos responsibilities included reporting directly to clients, all of design including the look and feel of Designfox Websites, Online Stores and Branding, as well as new ideas and future initiatives. Carlos also had a key role in the continued development of strategic relationships, and is integral in the operation of Designfox’s sister hosting company, Hostfish, Inc.
New Media Marketing & Communications, Inc.
Carlos is self-motivated working hand in hand with New Media creative team. Able to make concepts grow accordingly while implementing cutting-edge programming working with a team. Being a problem-solver at heart programming and designing feel second nature. Collaborated in the creation of the following websites for Poker News, Cater Bid, Harbes Family Farm, Hike In Phoenix and My MSAA. When looking for a marketing director on Long Island, there are a couple of things you should know. Is the person you found a professional who understands programming and the simplicity of modern designs? With the ever-changing industry, it is imperative that I keep myself updated so that I am always a step ahead of the competition. I own design software and equipped that meets today's latest standards to be innovative and creative for any project that you may have. I pay very close attention to detail and aim towards every project I'm handed with confidence.